During the Cold War era, the strategic threat against the US was clear. The country responded clearly with a policy toward the Soviet threat that centered on deterrence, containment, and mutually assured destruction. To enforce this policy, the US created a strategic triad composed of nuclear intercontinental ballistic missiles, Trident nuclear submarines, and long-range strategic bombers. Today, however, our security environment is profoundly different. The strategic threat is far more complicated and dynamic. New and deadly challenges—from irregular adversaries to catastrophic weapons to rogue states—have emerged. The 21st-century strategic threat triad, made up of failed states, global terrorism, and WMD proliferation, represents the greatest modern-day strategic threat to our national security interests. With this new strategic triad’s emergence comes the need to craft a new agenda of military and national security priorities. Winning the war against these new threats will require more than victory on the battlefield. 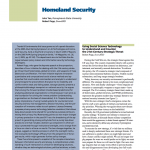 Recently, the US government published a revised national security strategy. It charters our military to reassure our allies and friends, to dissuade future military competition from would-be aggressors, to deter threats against US interests, and to decisively defeat any adversary if preemption and deterrence fail. To execute the new strategy, it’s vital that our military seek to deeply understand these new strategic threats. It’s not sufficient to predict where we might fight next and how a future conflict might unfold. We can no longer simply prepare for wars we would prefer not to fight; we must now prepare for those we will need to fight. Our new strategy requires that we make every effort to prevent hostilities and disagreements from developing into full-scale armed confrontations. This, in turn, requires applying political, military, diplomatic, economic, and numerous other social options to gain the necessary understanding of potential adversaries’ cultures and motivations. Indeed, we must be able to shape entire societies’ attitudes and opinions, with predictable outcomes. 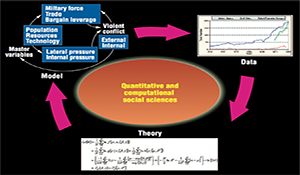 Popp, R., “Utilizing Social Science Technology to Understand and Counter the 21st Century Strategic Threat,” IEEE Intelligent Systems, vol. 20, no. 5, pp. 77-79, Sept/Oct, 2005.